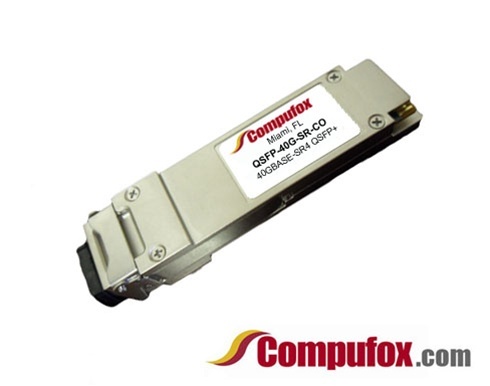 QSFP-40G-SR - 100% Alcatel-Lucent Compatible - Lowest Prices! Alcatel-Lucent Compatible four channel 40 Gigabit optical transceiver (QSFP+). Supports link lengths of 100m and 150m, respectively, on OM3 and OM4 multimode fiber cables.